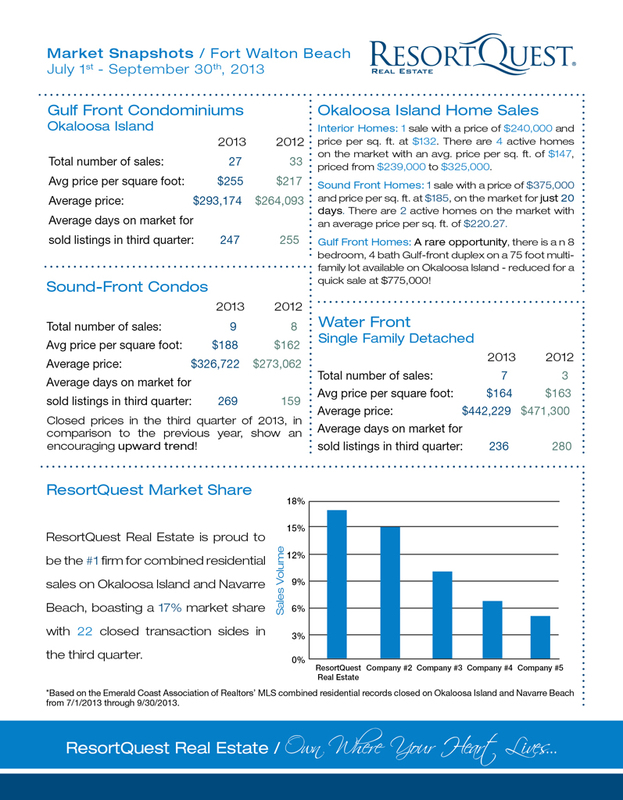 Fort Walton Beach water front condos are on the rise in the 3rd quarter! We’re seeing the prices on Gulf front condos steadily increase each quarter, with prices on comparable units increasing by as much as 37% year over year. Navarre real estate is on the move as well, remaining relatively consistent across the board in sales (condos, townhomes, and single family detached homes), with a minimal increase in price per square foot overall. Interested in selling or buying a home or condo in Fort Walton Beach or Navarre? Read on to find out more about the current real estate market in these key resort and residential areas. 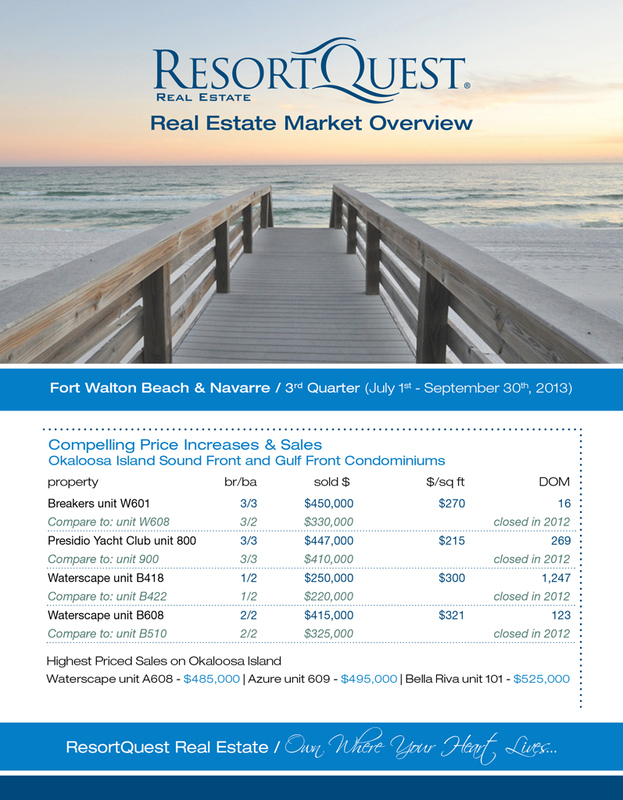 For further convenience, feel free to print or share our Fort Walton Beach & Navarre – 3rd Quarter Market Report. Interested in learning more about Northwest Florida’s Gulf Coast? 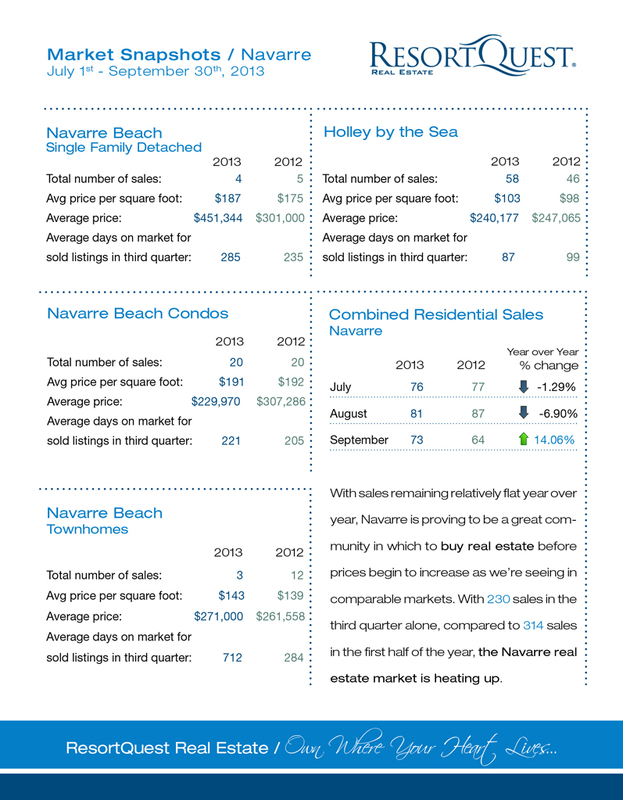 We have market reports for other hot areas, including 30A and Destin & Miramar Beach! As very active resort and residential markets, Okaloosa Island/Fort Walton Beach and Navarre real estate inventory change by the minute! Be sure to visit RQEmeraldCoastRealEstate.com often for an always current list of the area’s current inventory, or contact us for more information.